Bono says he’s so frustrated with the lack of action from rich governments he’s considered ditching his trademark sunnies. BONO: For here, it’s politics is the art of the possible, and that just� you know, this is possible. This is really possible. We’re not Pollyanna, this is not sort of rosy tinted glasses, believe it or not, in fact, I felt like smashing my glasses today. 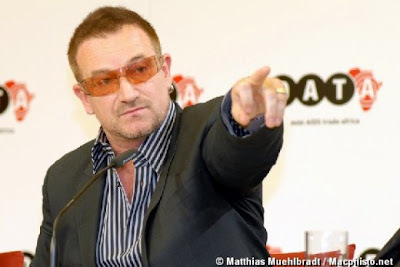 BONO: It’s just� they are not keeping their promise. They are not keeping their promise.